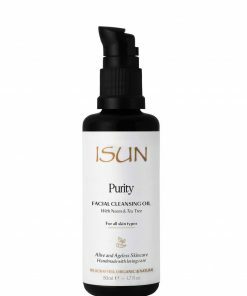 When your skin feels dry no matter how much moisturiser you use and is showing signs of ageing much too soon, you may be using a cleanser that is too alkaline for your skin. 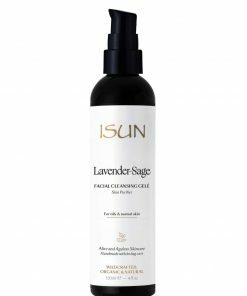 Ideally, your cleanser is free of harsh chemicals, keeps your skin hydrated and is pH balanced to maintain the integrity of the skin’s natural moisture barrier and acid mantle that protects against bacteria and other imbalanced conditions. 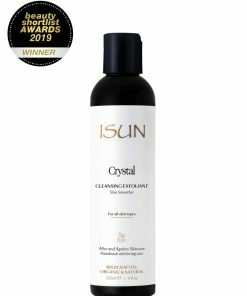 A cleanser that is either too alkaline or too acidic weakens the natural moisture barrier and acid mantle leaving it vulnerable to problems and feeling tight or dry. cotton pads. To remove heavy make-up, including eye make-up, cleanse two times. 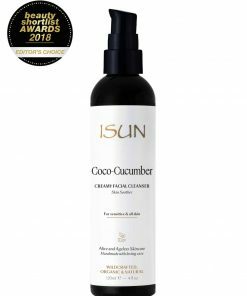 your ISUN organic cleanser. 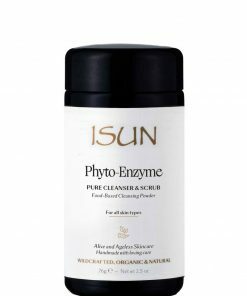 Add a little water and gently scrub skin in circular motions for 1- 2 minutes. For a more intense exfoliation, use additional Rhassoul Exfoliant and rinse well with water. 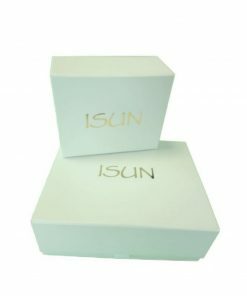 subjected to animal testing, and all are suitable for vegans.